So many people are focused these days on the words racism and prejudice that’s it is in a majority of headlines and news articles. It’s been the driving force behind wrongful killings, and protests, both of citizens and authority figures like our local police officers. It’s been in other cases so another can get their way, justify their own use of racism, or just to put a few dollars in their pocket. 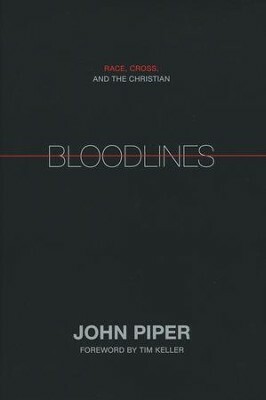 Recommended Resources: Bloodlines: Race, Cross, and the Christian by John Piper and Logos Bible Software. Racism happens when we view another as less valuable than ourselves. It also happens when we attempt to make ourselves the victim of our circumstances. We aren’t called for either. He got down and created man from the dust of the Earth He created from words. Then going further, He breathed life into him. And from this man He has created the multitudes of peoples of all colors, backgrounds, and languages. We ought to hold each other to a much higher value and stop playing off one another for own own selfish gain. This entry was posted on Nov 12, 2015 by The FaithBook in Recommended Reading and tagged Acts 10:34, and the Christian by John Piper, Bible, Bloodlines: Race, Caused the deaths of many, Christianity, Cross, Deuteronomy 10:17, discrimination, Ephesians 2:14, Ephesians 4:32, Ephesians 6:9, Experience, Faith, Galations 3:28, Genesis 1:26-27, God, Heart, human-rights, James 2:4, James 2:8, John 13:34, John 3:16, justify their own use of racism, Life, Matthew 25, People, Politics, prejudice, put a few dollars in their pocket, Questions, racism, Reminder, Romans 2:11, Romans 6:13, shamefully used to drive agendas, spirituality, Troubles, What does the Bible say about racism prejudice and discrimination?, What is the origin of the different races?, World.